It’s no secret that coffee is one of the largest industries in the U.S. and even the world. 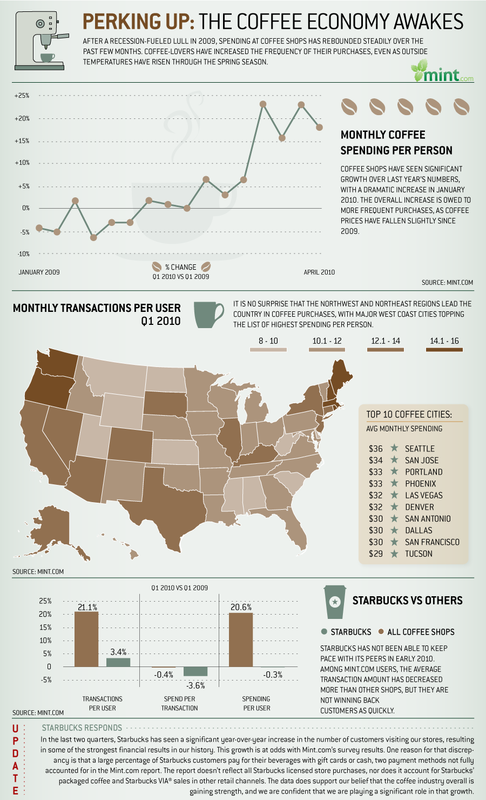 For this Mint.com infographic Columnfivemedia broke the numbers down to tell the story of the coffee industry’s sweet success. With the recent arrival of the iPad, the refresh of Macbook Pro, and the forthcoming iPhone OS4 and presumed new iPhones, there’s no question Apple will dominate most aspects of your modern life. But which works best where? Use this handy manual created by Columnfivemedia with Fast Company to decide. America manufactures more than any other country, including China. What’s rising is manufacturing productivity, which means a smaller share of manufacturing employment. 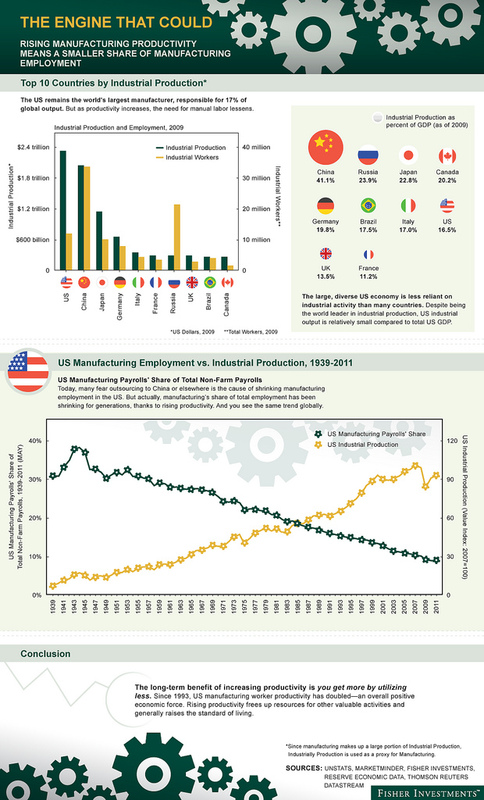 This infographic done with Fisher Investments by Columnfivemedia, looks at the shrinking number of US employment in manufacturing.